Published in over 100 anthologies, magazines and journals, George Amabile is also the author of 7 books. George Amabile’s poetry, fiction and non-fiction has been published in Canada, the USA, Europe, South America, Australia and New Zealand in over a hundred anthologies, magazines, journals and periodicals including The Penguin Book of Canadian Verse, The New Yorker Book of Poems, Saturday Night, The New Yorker, Harper's, Poetry, American Poetry Review, Poetry Australia, Sur (Buenos Aires), Poetry Canada Review, Canadian Literature, and Margin (England). 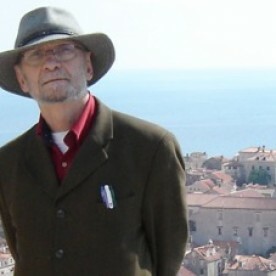 He has edited The Far Point, Northern Light and has published seven books. The Presence of Fire (McClelland & Stewart, 1982) won the Canadian Authors’ Association Silver Medal for Poetry; his long poem, Dur, placed third in the CBC Literary Competition for 1991; "Popular Crime" won first prize in the Sidney Booktown International Poetry Contest in February, 2000; and he is the subject of a special issue of Prairie Fire (Vol. 21, No. 1, May 2000). From October 2000 to April 2001 he was Writer in Residence at the Winnipeg Public library. His most recent publications are Rumours of Paradise / Rumours of War (McClelland and Stewart, 1995) and Tasting the Dark: New and Selected Poems (The Muses Company, an imprint of J. Gordon Shillingford Publishing Inc., 2001). If there's a glue that holds Literary Ottawa together, Reid is in the horse hooves. Monty Reid is an Ottawa writer. His most recent book is Meditatio Placentae (Brick). His mis-translation of Nicolas Guillen's El Gran Zoo forms the basis of an exhibition at Ingrid Mueller Art + Concepts in Fredericton this fall, featuring the work of celebrated New Brunswick artist Suzanne Hill. Other recent projects include his long work on life next to Canada's spy agencies, Intelligence, and his celebration of parasites human and otherwise, Host. 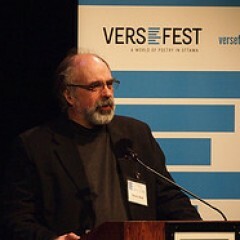 He is the Director of VerseFest, Ottawa's International Poetry Festival, and Managing Editor of Arc Poetry Magazine.